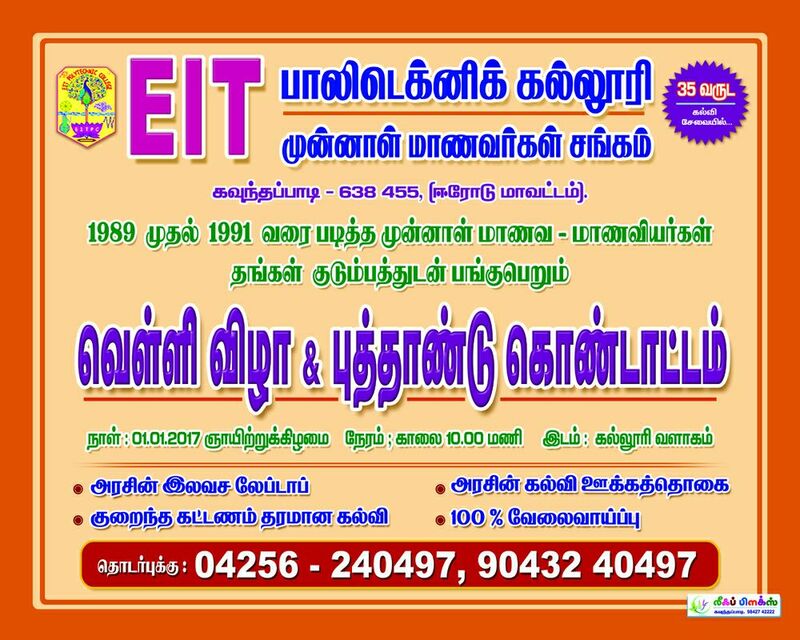 EIT Polytechnic College, Kavindapadi formerly known as Erode Institute of Technology, a highly commendable Govt. Aided institute, occupies a place of pride amongst the premier technical institutes of the southern region of Tamilnadu. Established in the year 1980, financed and run by The Mudaliar Educational Trust, Erode with Government Aid.